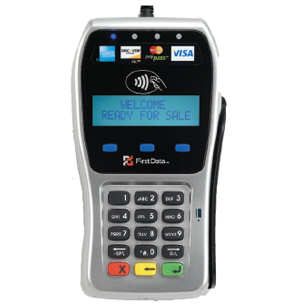 The FD-130 can process transactions via Dial or IP for fast transaction times, has a color touch screen, internal PIN pad, contactless payments, a small footprint and is EMV compliant. This terminal has the same functionality and footprint as the FD-130 except for the EMV card reader. 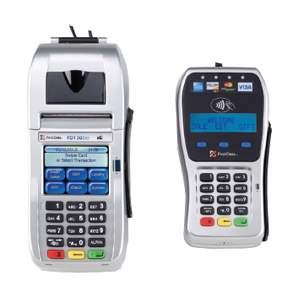 Pair the FD-130 Duo with the FD-35 PIN pad for EMV and PIN Debit transactions to create a smaller footprint on top of a counter for front facing consumer transactions. 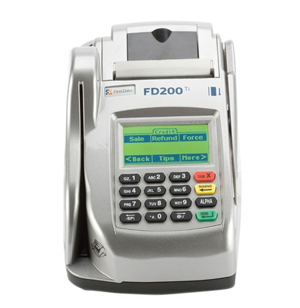 The FD-200 has the same functionality as the FD-130 Duo except with a larger footprint to allow for Telecheck acceptance. 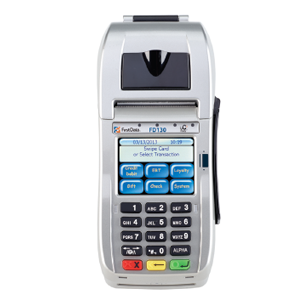 Pair this terminal with the FD-35 PIN pad for EMV and PIN debit transactions. 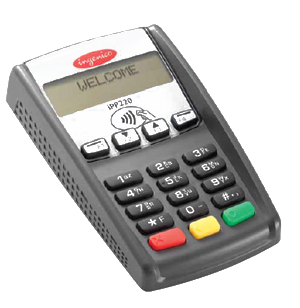 This PIN pad connects to the FD-130 Duo and FD-200 terminals to allow for EMV and PIN debit transactions as well as contactless payments with services such as Apple Pay and Google Wallet. It is also encrypted with the latest PCI standards. The ICT 220 can process multi-merchant accounts for hair salons or other businesses that have multiple entities and is EMV compliant. This terminal has the ability to use the latest technology for Bluetooth so the terminal can process transactions without the attached power cable and communication line. The IWL 252 is capable of doing this with a base it communicates with through the Bluetooth technology. 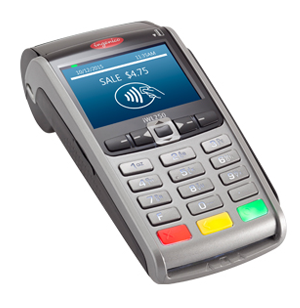 It is also EMV and PCI compliant and allows for PIN Debit Transactions. This terminal is ideal for merchants who need to have a portable solutions within its business premises. The IWL 255 is the same terminal as the IWL 252 but uses a cellular modem instead of Bluetooth to process anywhere there is cellular data. This terminal is ideal for merchants who have events in an open scale environment or need to travel to other cities or states. 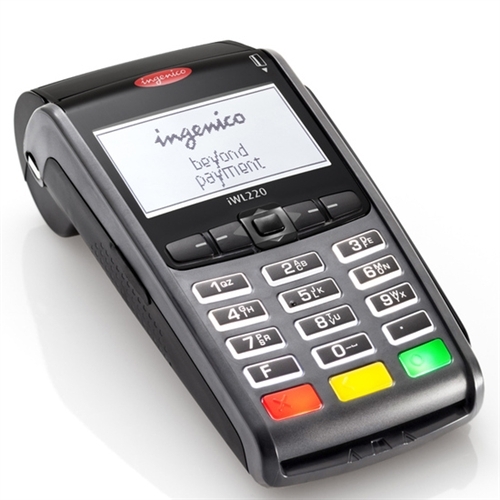 The PIN pad IPP 220 connects to the ICT 220 terminal and allows for PIN debit transactions and is encrypted with the latest PCI standards. 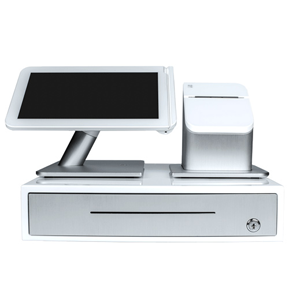 This cloud based POS system has an 11.6” color touchscreen with an integrated swivel stand. It also comes with a high speed printer and cash drawer. It also comes with an embedded camera for bar code or QR scanning. There are a variety of different peripheals including additional printers, pin pad, handheld barcode scanner, additional displays and weight scale. The Clover Mini can be used as a standalone terminal or work with the Clover station to combine additional versatility. 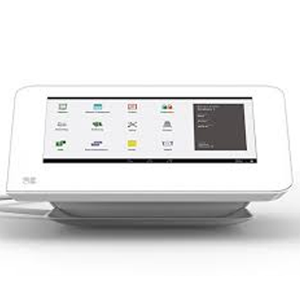 It has a 7” color touchscreen, an integrated printer, can accept PIN debit transactions and contactless payments (such as Apple Pay and Google Wallet) and is EMV and PCI compliant. 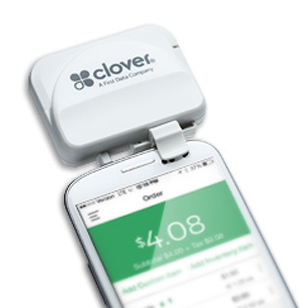 The Clover Mobile can be used as a standalone terminal or with any other Clover products as well. It is the same device as the Clover Mini with the exception of the integrated printer. It comes in two versions, a Wireless model and a wireless + 3G model. The Clover Mobile is intended for use in environments with portability in mind such as pay at the table or off site events. It can be paired with a mobile printer and dock. Need a smaller device or need to be more portable? Clover Go is a mobile application for your smartphone (Android and iOS). There is a compatible EMV ready card reader that can be inserted into the headset jack of any smartphone. Another added functionality is that the customer has the option of receiving electronic receipts via email. Triton ARGO 7 and ARGO 12– The Argo 7 comes in a shallow cabinet or deep cabinet to allow for room in convenient locations. The Argo 12 comes with a 12.1” screen for additional space for marketing messages. 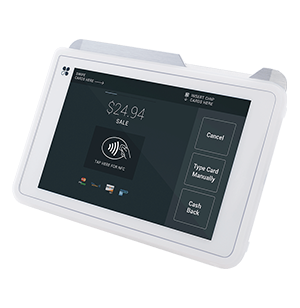 Both the ARGO 7 & 12 have updated design features include larger wings for added PIN security, improved dispenser security, touchscreen options, and blue LED-lighted keypad for easy-to-read transactions.